I am committed to applying multiple levels and approaches of intervention to the resolution of the problems determined by the collaborative effort between me and my client. The goal is to increase emotional stability and daily functioning progressively step by step on a broad based foundation of individualized treatment planning with concrete measurable and attainable goals developed. substance abuse and other addictions, mood disorders, anger management, gender specific issues, military families, couples counseling, grief and loss, chronic illness, pain management, life skills, phase of life issues, etc. I launched my career studying nursing for two years before changing majors. I received an Associate of Arts Degree in Human Services with a Certificate in Substance Abuse Counseling. From there I went on to Rhode Island College, where I double majored and received my Bachelor of Arts Degree in Psychology and Bachelor of Social Work Degree. After moving to Maine, I attended the University of Maine, Orono, where I received my Master of Social Work Degree. 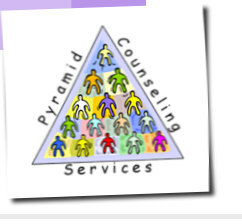 I have worked in the fields of mental health and the addictions in various settings and levels of care for 25+ years. I have a special appreciation for cultural diversity having lived in different parts of the Country before making Maine my permanent home 20 years ago. I share my home with several feline companions as well. My favorite pastimes include snowmobiling in the winter, sea kayaking in the summer, playing the mandolin in my band, hiking, camping and going to music festivals.